The 13th Indian Television Academy Awards was held on October 23 at the Reliance Studio at Film City, in Mumbai's western suburb of Goregaon. 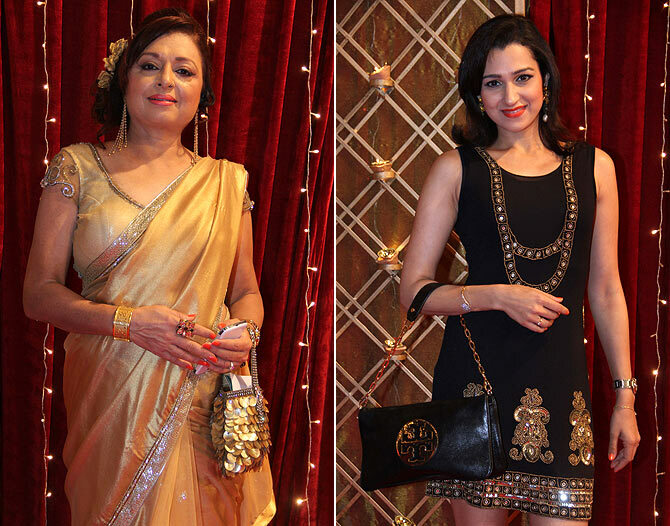 Quite a few television actors attended the event, looking very glamorous as they walked down the red carpet. Lauren Gottlieb, runner-up of the dance reality show Jhalak Dikhhla Jaa, glows in Indian traditional attire. She performed at the event as well. Click Next to see more star arrivals on the red carpet. Mouli Ganguly arrives with her actor husband Mazher Sayed. 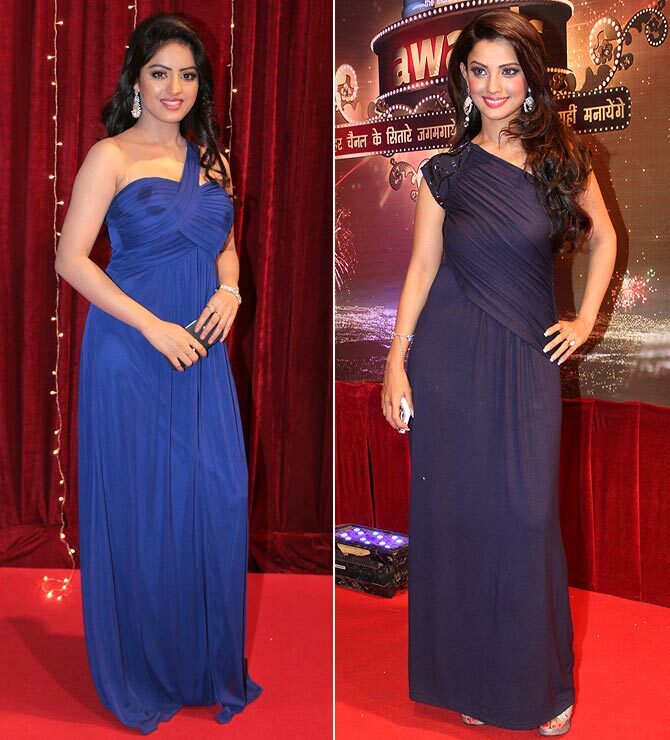 Deepika Singh of Diya Aur Baati Hum fame and Adaa Khan of Amrit Manthan fame arrive. Diya Aur Baati Hum and Ek Veer Ki Ardaas...Veera received the Best Director award in the drama category. 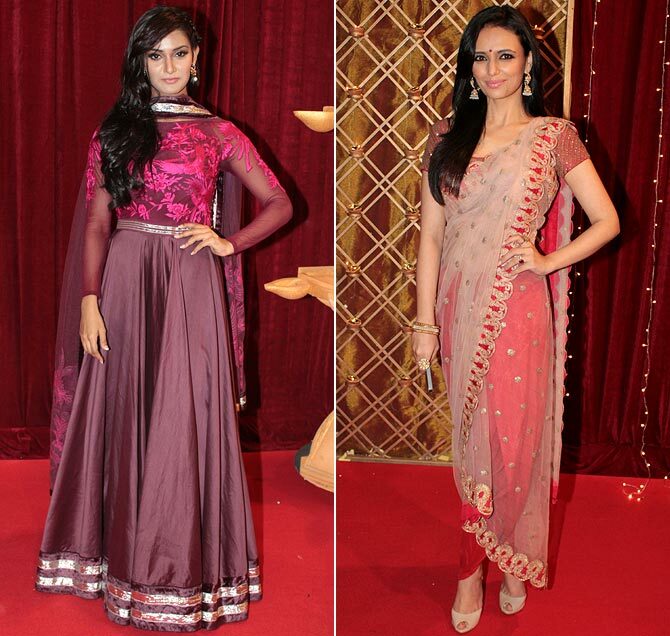 Kapil Sharma's ladies Mukti Mohan and Roshni Chopra were spotted. Mukti had partnered with Kapil on Comedy Circus Ka Jadoo and won the show while Roshni had worked with him on his hit show Comedy Nights With Kapil. 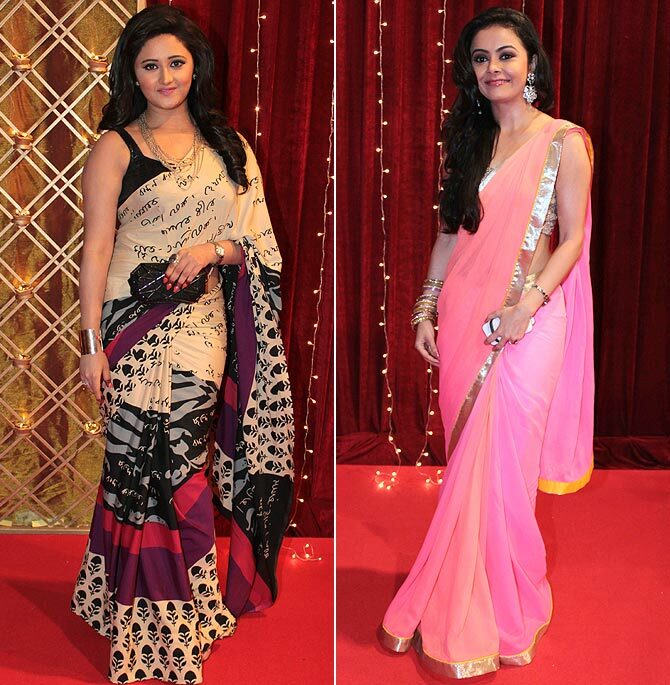 Rashami Desai of Uttaran fame and Devoleena Bhattacharjee of Saath Nibhaana Saathiya fame arrive. 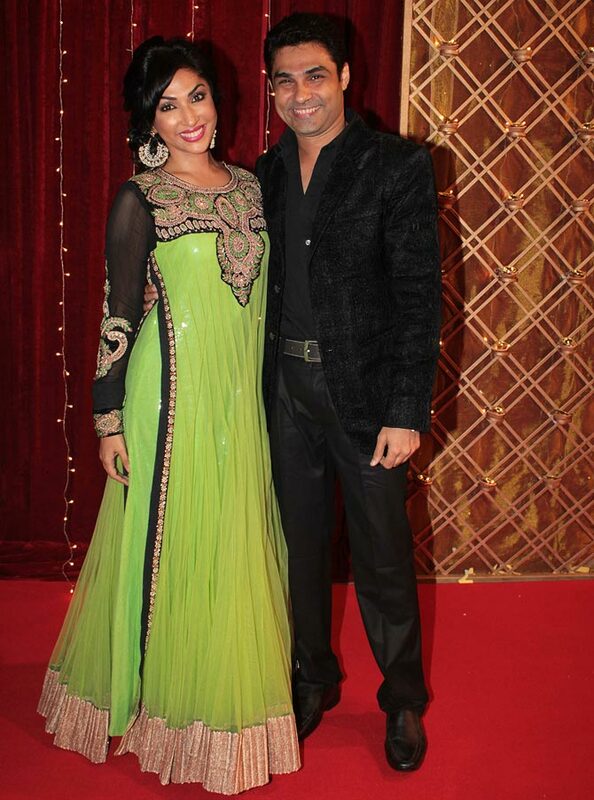 Deepshika Nagpal arrives with husband Kaishav Arora. Daljeet Kaur arrives with husband Shaleen Bhanot. 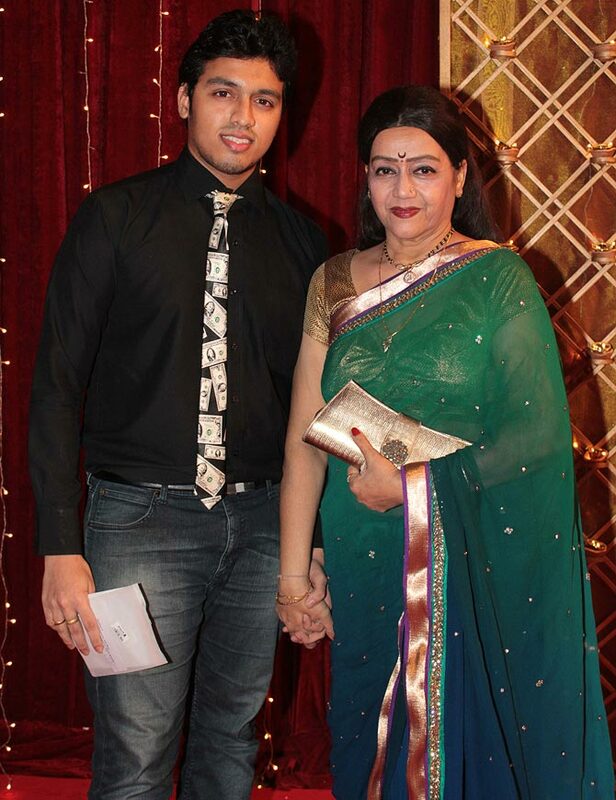 Actor-dancer Jayshree T arrives with son Swastik. 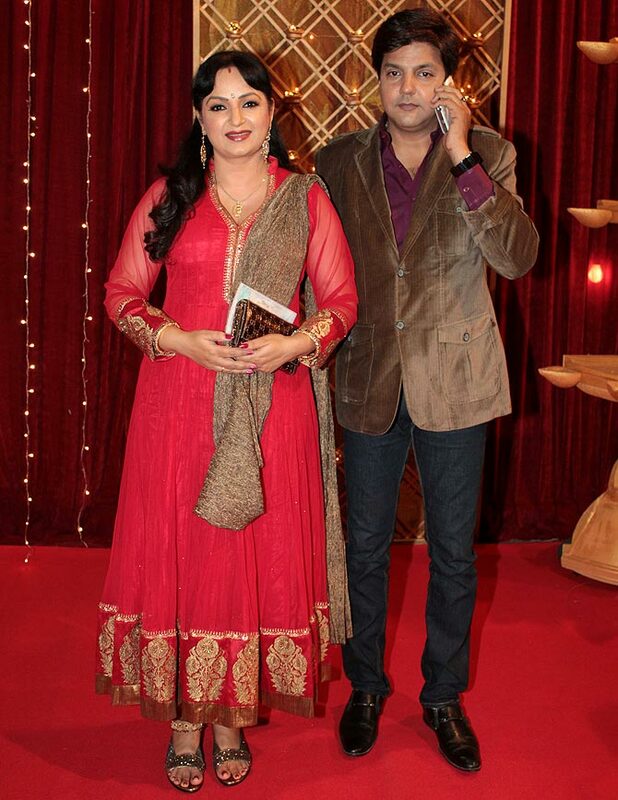 The event was hosted by Kapil Sharma, as well as Ragini Khanna and Karan V Grover. 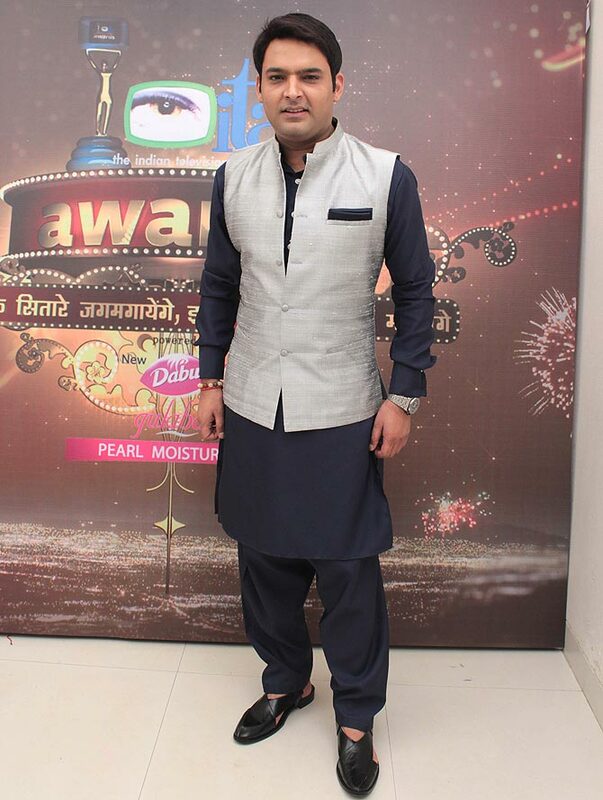 Kapil's Comedy Nights with Kapil bagged two awards -- Best Comedy Show and Best Actor in comedy category. Former Bigg Boss contestant Monica Bedi and Mouni Roy, who plays Sati in Devon Ke Dev - Mahadev, arrive. 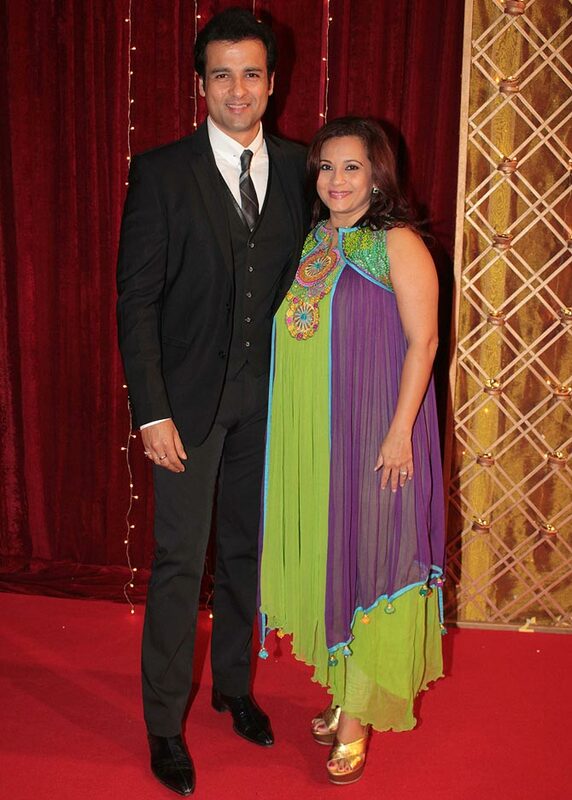 Actor Rohit Roy arrives with wife Mansi Joshi. 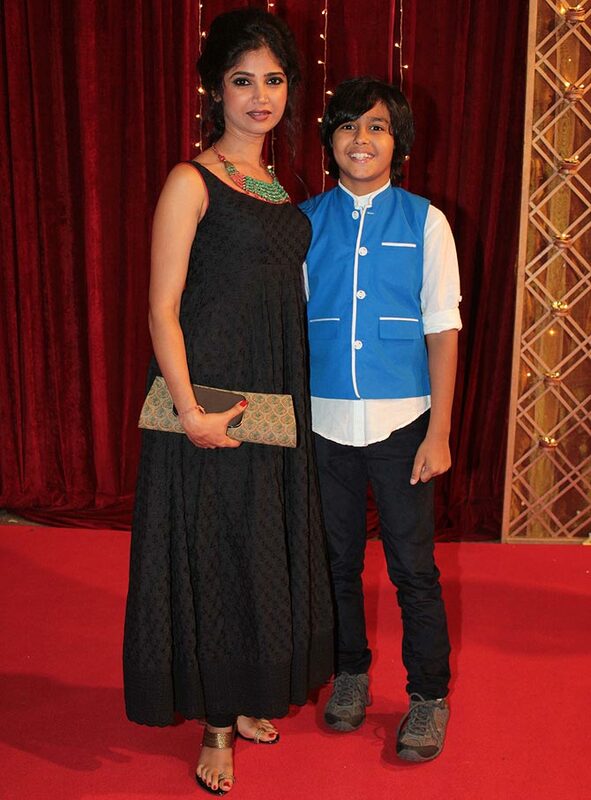 Ratan Rajput, who recently got evicted from Bigg Boss 7, arrives with a guest. 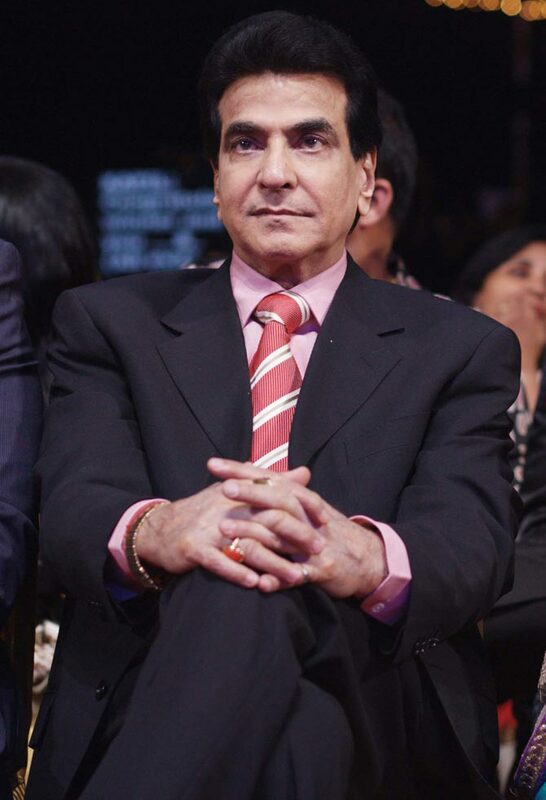 Jeetendra picked up the Best Serial award for Jodha Akbar on behalf of daughter Ekta Kapoor. The Best Serial award was shared by Bharat Ka Veer Putra - Maharana Pratap. 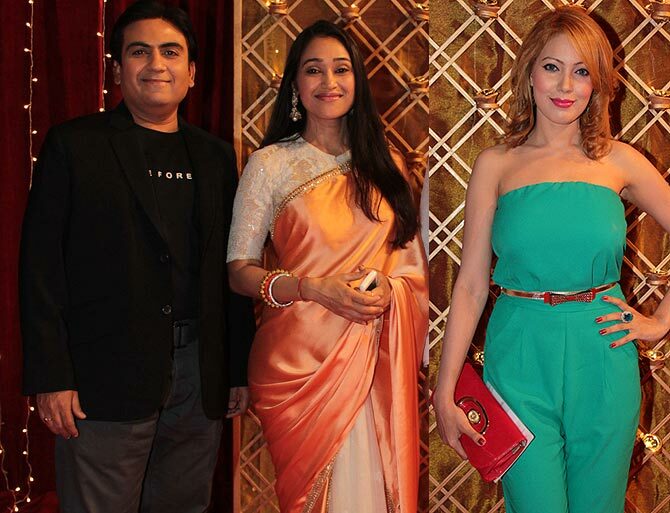 The cast of Taarak Mehta Ka Ooltah Chashmah -- Dilip Joshi, Disha Vakani and Mummun Dutta. Upasna Singh arrives with husband Neeraj Bhardwaj. 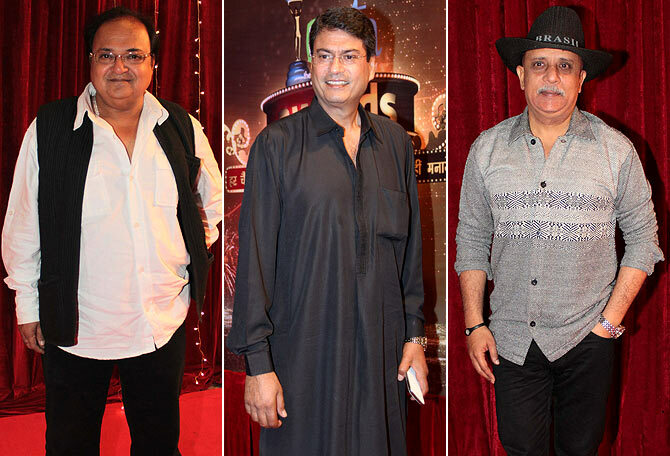 Veteran actors Rakesh Bedi, Kanwaljeet Singh and Rajesh Puri arrive. Actress Anita Kanwal arrives with daughter Pooja Kanwal Mahtani. 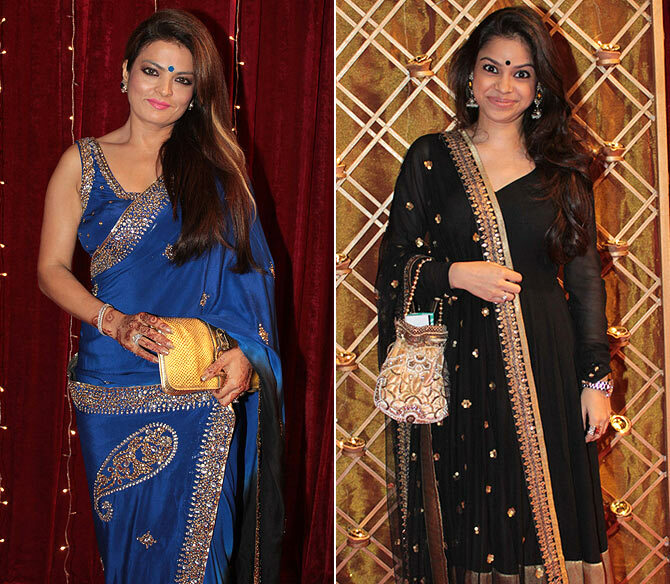 Actress Sheeba Akashdeep and Bade Acche Lagte Hain actress Sumona Chakravarti arrive. 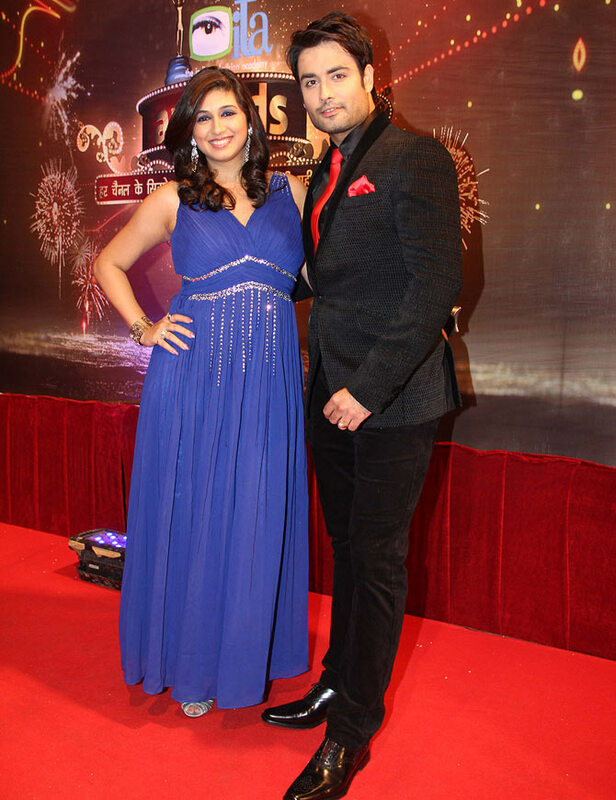 Vahbbiz Dorabjee arrives with husband Vivian Dsena. Manish Paul, who will be seen in this week's movie release Mickey Virus arrives. 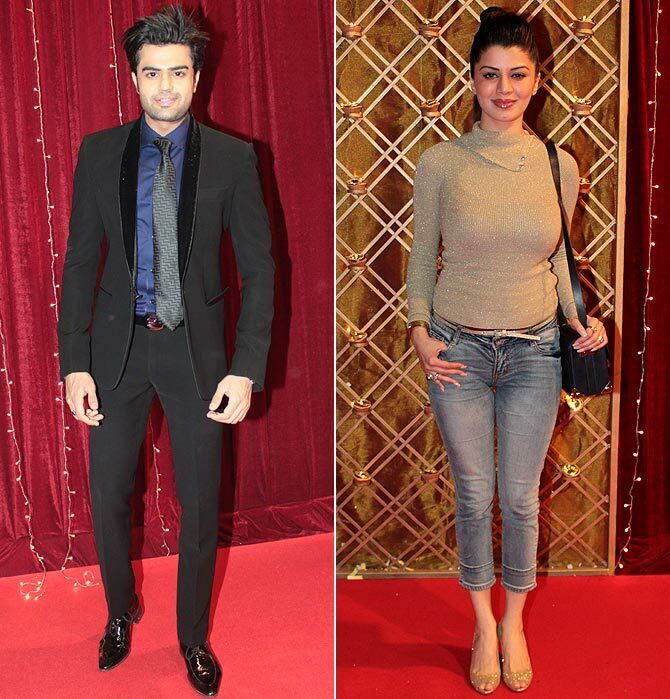 Grand Masti actress Kainaat Arora was also spotted. 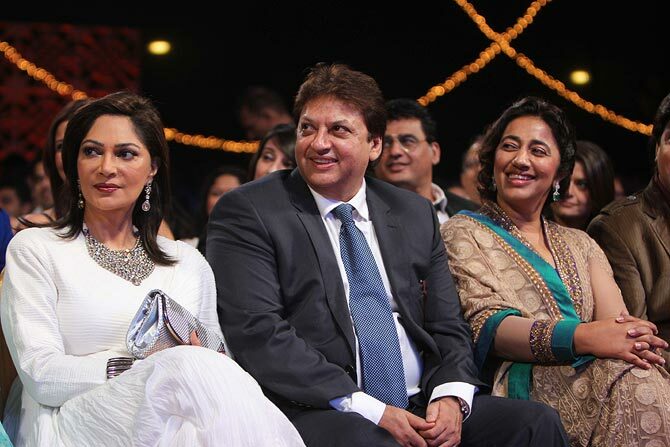 Simi Garewal sits with the ITA organisers, Shashi and Anu Ranjan. 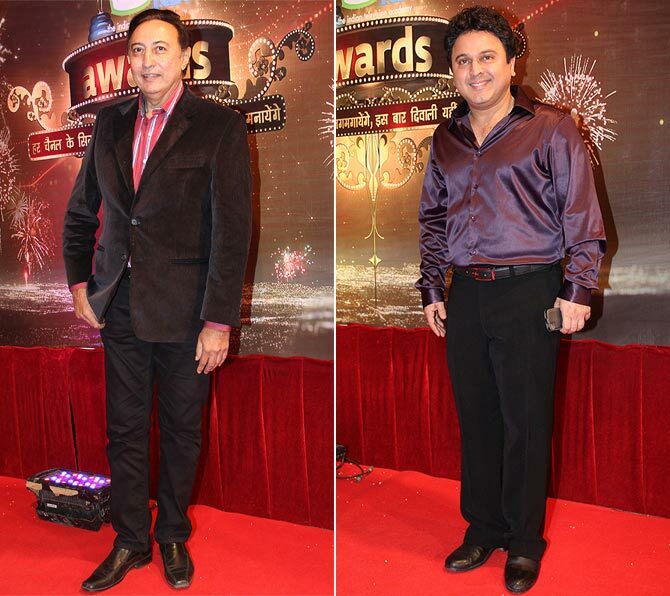 Khichidi fame Anang Desai and comedian Ali Asgar arrive. Is Sonakshi Sinha the MOST BORING item girl ever? VOTE: Which Raj Kapoor film should be colourised? Filmi Family Tree: Know which yesteryear actress Hrithik is related to?